Within the framework of the project of empowerment of East and North Jerusalem local authorities funded by the European Union and implemented by the Municipality of Bedu in partnership with Palestinian Youth Union and Hizma municipality, a course on strategic planning for municipalities was completed, in the presence of 16 local councils representatives (10 women and 6 men), from north and east of Jerusalem. 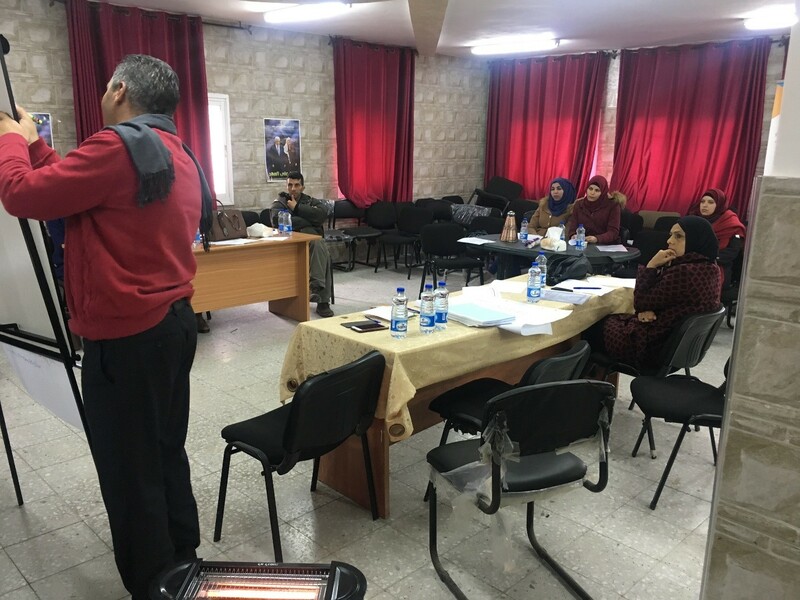 The course was held at the municipality of Bedu in three days during March 2019. The training included concepts of planning mechanisms, strategic plan, discussion of vision, values, mission, strengths, weaknesses, opportunities and risks, strategic planning and organizational structure within municipal councils, the importance of planning in local government bodies, as well as the importance of building and implementing the strategic plan within the implementation plan. It is worth mentioning that the project aims to strengthening and empowering the municipal councils in Area C in the governorate of Jerusalem, enhancing the role of young men and women to participate in their social and democratic roles in municipal councils, improving the living conditions of the Palestinians living in marginalized areas in north and east Jerusalem, develop and facilitate access services. This training course aimed to empower and enhance the institutional, operational capacities of Bedu , Hizma, Jab’a and Mikhmas municipalities and other 11 municipalities in the north-west of Jerusalem, to focus on the work methodology within these councils to create qualitative change in the provided services to the people .